Generally Sharon felt that my examples illustrated Gestalt Theory in composition well, although she did say that if she were being picky she might challenge the image in which I suggested that the clouds and the shape of the landscape formed a circle! She commented that the photographs formed a ‘beautiful series’, which was pleasing. She suggested that I flesh out an introduction. She liked the fact that it is a different view on Hawaii than that displayed in travel brochures but challenged what stance I am taking? She thought that it would be helpful to put this into words as well as images. 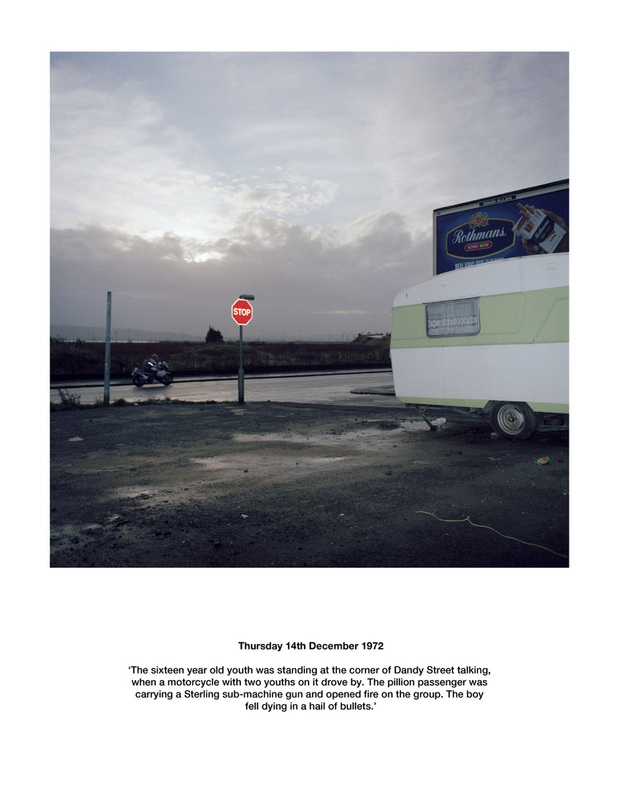 She also thought I should expand upon what it owes to Stephen Shore aside from simply saying ‘something’. These are valid criticisms and I have expanded my statement to be more explicit on the nature of the influences, see here. I have a sense that I was driven to show another side of Hawaii as I feel that most people have an image of the place that is formed by how it is represented in popular culture – Elvis in ‘Blue Hawaii’, Hula Girls and Surfers. The real Hawaii has some of these elements but it is also a place where people live their everyday lives. I think there may be a link here to Baudrillard’s Simulacra. Hawaii is understood by most people to be an imaginary place as it is defined in idealised and constructed images presented in the movies, on TV and in travel brochures, posters and such like. My stance is to show that Hawaii has many other facets. It has natural beauty other than beaches and palm trees. It is a place where ordinary people live and work. It has industry, commerce and agriculture – I have not covered all of these elements in my work so far. By showing this other side of the place I am in effect exposing the lie of the constructed imagery of popular culture. I hope to continue with the ‘Another Hawaii’ project when I return there in May. Sharon was happy with the broad thrust of my proposal. She did however wonder if ‘you could make it a question or a statement rather than a title? I’d like to know from the title what it is about documentary or context and meaning that you would like to compare’. I can understand where she is coming from on this but am not sure if it will be easy to come up with a succinct title which works. Sharon admitted that it is quite challenge to synthesise my intentions in this way. She also suggested that I try to define context and meaning and that I look at the history of what that has meant in photography. She suggested that Ian Jeffrey’s Critical History of Photography might be useful source. Again, I take these points on board and will try to define my intentions more specifically at an early stage of preparing the review. She also suggested that I might be able to use Barthes terms icon, index and symbol to help differentiate between different types of image use. Sharon like the concept behind my East End work, commenting that the ‘combination of history and present is great, especially for the medium of photography, which is so often (arguably always) linked to the past’. On the question of open texts she suggested that I need to say more about what I understand by this and why it is important to my work. She pointed me towards Umberto Eco (The Open Work) and Barthes (From Work to Text) as key writers on the Open Work. Again I accept these points but need to develop my thinking here. Essentially what I believe I mean is that the text should not close down the meaning of the images. Rather I am looking for the texts to provide an additional parallel stream of information which will open up possible meanings and interpretations of the images in the mind of viewers. Some critical underpinning of these ideas would strengthen and confirm my approach. She liked Umbra Sumus reference and the way in which the use of technique (dark, shadowy images) to match metaphor (shadows symbolising people from the past). She wondered about using it as a title for the work….this is something I am also thinking about but want to keep open for now. She also suggested that Paul Seawright (Sectarian Murder) and Taryn Simon (The Innocents) might also be good references. I am aware of Simon’s work and have reviewed some of her work elsewhere in this blog, see here. The Innocents is a series of portraits of people who have been wrongly convicted of crimes because of mistaken identity. Simon takes them back to the scene of the alleged crime and makes a portrait of them there. 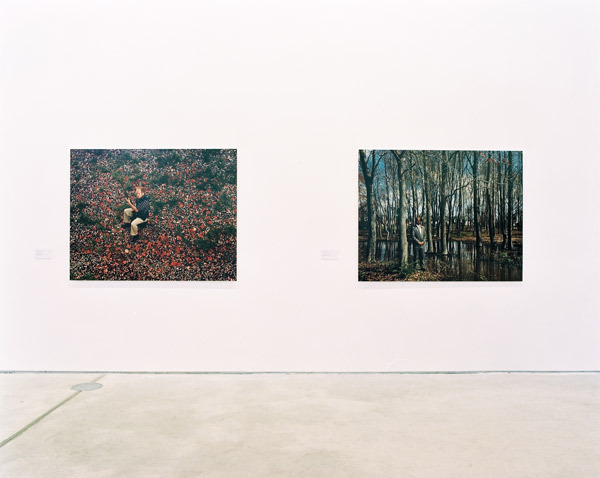 These large scale portraits are exhibited alongside texts detailing the location and nature of the crime. Simon’s portraits are large, colourful and often amusing. To be honest they seem a little flippant to me. The work has some link to my own but as it is a portrait series it is unlikely to be a primary influence. Seawright’s work certainly does seem relevant to my own. In Sectarian Murder Seawright revisited the sites of Sectarian attacks during the 1970’s close to where he lived in Belfast. He presents images of these sites alongside texts are from newspaper reports at the time. What is particularly interesting is his decision to remove references to religious persuasion from the work. As there is no sign of the previous violent event in the scenes shown in the photograph, the viewer is left to imagine the past scene and to ponder on the sense of it all. Sharon was happy with the way in which I have been using my blog to show how my thinking has been developing. She suggested that I might include a menu to make it easier for readers to find their way around. I have now done this. Another stage achieved – that’s great Keith. Thanks Catherine…..this was a simple step forward…. “..as I feel that most people have an image of the place that is formed by how it is represented in popular culture – Elvis in ‘Blue Hawaii’, Hula Girls and Surfers.” My view of Hawaii is one of a colonial outpost on the fringes of an culturally oppressive society that has transplanted and imposed it’s cultural values onto that people and which has generally suffered as a result. I hasten to add I’ve never been to Hawaii, so it is a largely uninformed view. I’ll be interested in your views on Seawright.